From the Delta infused title track to joyous “You Can’t Get That Stuff No More” and the mournful “Champ” the listener is transported to the Deep South. Back to Tennessee is a must have for any blues fan. It is instantly accessible and finds Linden at the peak of his playing. I Didn’t Write Too Many Of The Words On This Record, But It’s The The Most Personal Record I’ve Ever Made. I Thank All My Teachers, Gurus, Mentors, Benefactors, And Spirits Good And Evil For Making This Possible. Thanks 1st And Always To My Wife, Janice Powers. If You Can, Please Contribute To The Rebuilding Of Our Beloved New Orleans, And The Lives Of The People From There. All Of Us Who Love Blues Music Owe So Much To This Righteous Place. Easin’ Back To Tennessee Is A Must Have For Any Blues Fan. It Is Instantly Accessible And Finds Linden At The Peak Of His Playing. 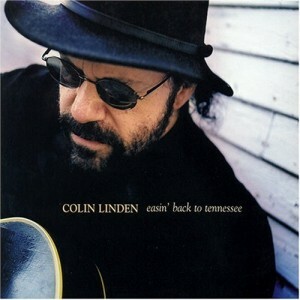 All Colin Linden Songs 2005 Colin Linden Publishing Socan / Easin’ Back To Tennessee (Sleepy John Estes, Songs Of Universal-Bmi), Go Back Old Devil (Bo Carter), Broke Down Engine (Blind Willie Mctell, Ascap), Nowhere To Go (Colin Linden), A True Friend Won’t Let You Drown (Colin Linden/Gary Nicholson, Colin Linden Publishing Socan / Gary Nicholson Music Ascap (Administered By Sony/Atv Music Publishing)), There Would Be Hell To Pay (T Bone Burnett), You Can’t Get The Stuff No More (Tampa Red), Paramount (Colin Linden), Keep It Clean (Charley Jordan/Larry Johnson), Champ (Colin Linden), Dry Spell Blues (Son House, Sondick Music Bmi), Trouble Soon Be Over (Blind Willie Johnson, Alpha Music Bmi)®&© 2006 Colin Linden. Under Exclusive License To High Romance Music Ltd. Distributed By/Distribué Par True North Records.260 Richmond St. West, Suite 501, Toronto, On Canada M5v 1w5. True North Is A Division Of High Romance Music Ltd.All Rights Reserved. Unauthorized Reproduction, Copying And Rental Of This Recording Is Prohibited By Law.